I had the opportunity to do a guest article for WOMMA's (Word of Mouth Marketing organization) PROMO magazine. 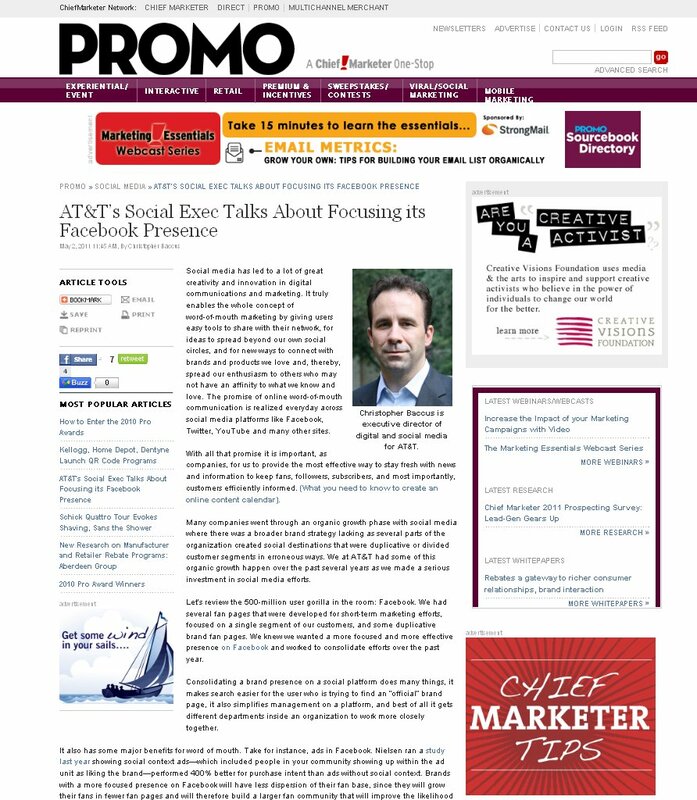 I covered some of the things we are doing at AT&T to tighten up our Facebook presence and why that matters on a platform like Facebook. Also, I should add that automotive brand Acura did a similar effort late last year as they moved to consolidate all of their vehicle fan pages under the one Acura brand fan page, a wise decision in my humble opinion. Take a look if you are curious what I do in my day job leading social media at AT&T. 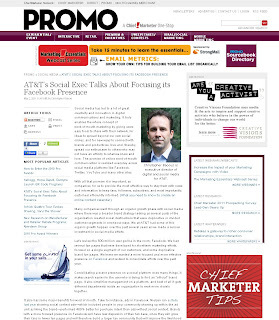 Click here to read the article: "AT&T’s Social Exec Talks About Focusing its Facebook Presence"
Grats! Was that front page? The screen shot is the article view but it was promoted on their front page, website front page. :) Does that count?